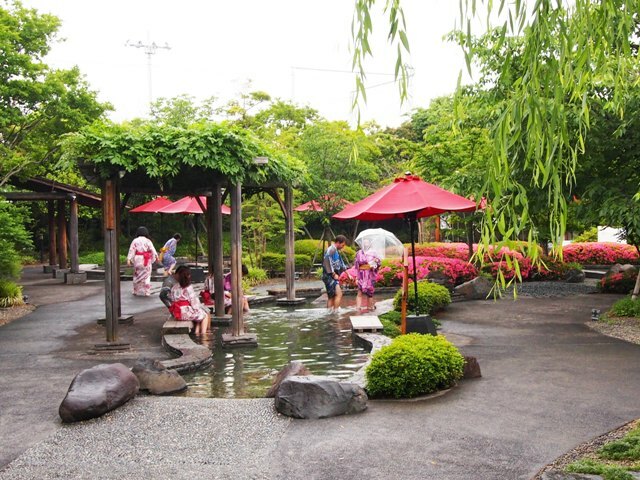 “Ooedo Onsen Monogatari” (Onsen Theme Parks) that can fully enjoy natural hot springs continues to be loved by a wide range of age groups as a tourist attraction of Odaiba. 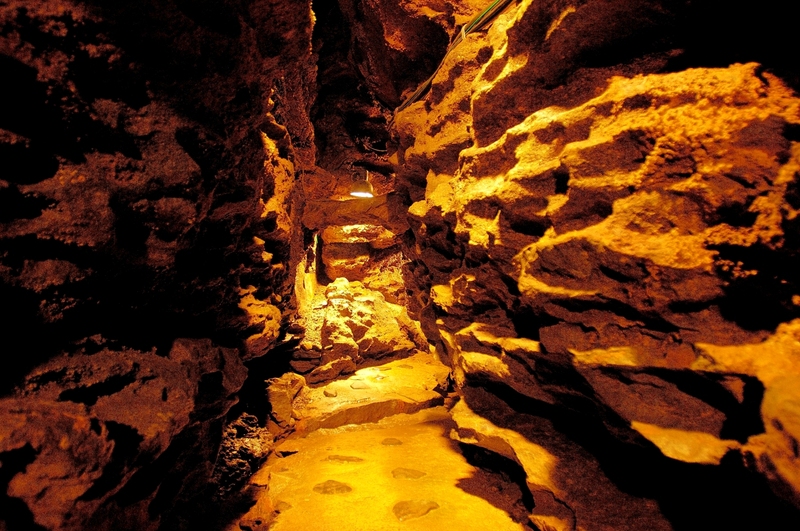 It is extremely popular as Japan’s largest hot spring theme park which can enjoy the atmosphere of the downtown of Edo. 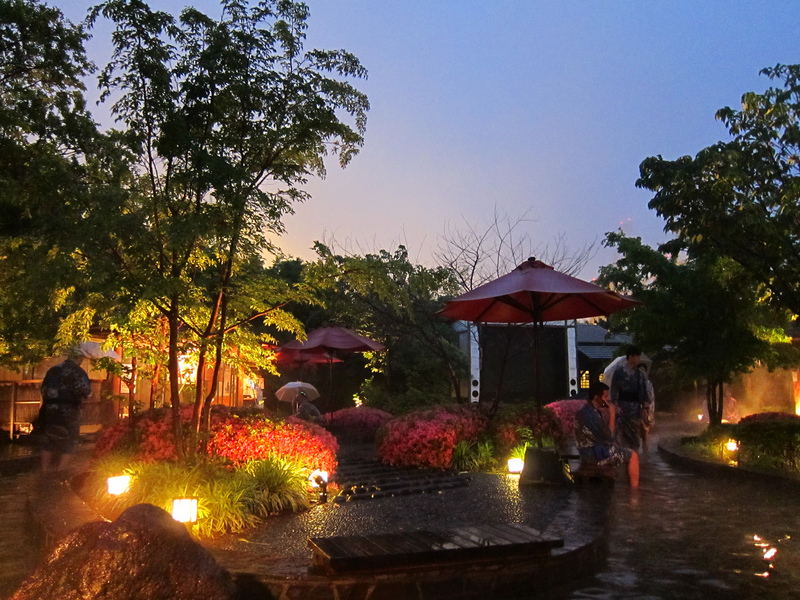 Since it is open from 11:00 am to 9:00 the next morning, you can enter the hot spring even at midnight. After eating, drinking and playing, you can enjoy ways to be healed at hot springs. Besides the natural hot spring springing from 1400 meters below the ground, there is a rest space, a space to play and a gourmet zone, which is a hot spring theme park that you can not get tired of all day long. Once you duck under a shop curtain, you can experience lively days of Edo where you can enjoy sweets and yo-yos fishing, throwing shuriken. You can enjoy it alone, but it is the perfect place to go out when you want to play with friends and lovers. As kinds of hot springs, there are various types of baths such as public baths, outdoor baths, saunas, foot baths, etc. and they can not be bored. Mist sauna that glad for women and can expect beautiful skin effect is also installed. In addition, there are 19 original Yukata available, so you can wear your favorite pattern and you will soak in the mood of the Edo period. All facilities such as “eight-hundred-and-eight towns” (The number eight-hundred-and-eight is traditionally associated with innumerable) that can enjoy the taste of Edomae (Tokyo style) and Hirokoji street that imagined the downtown of Edo are substantial. 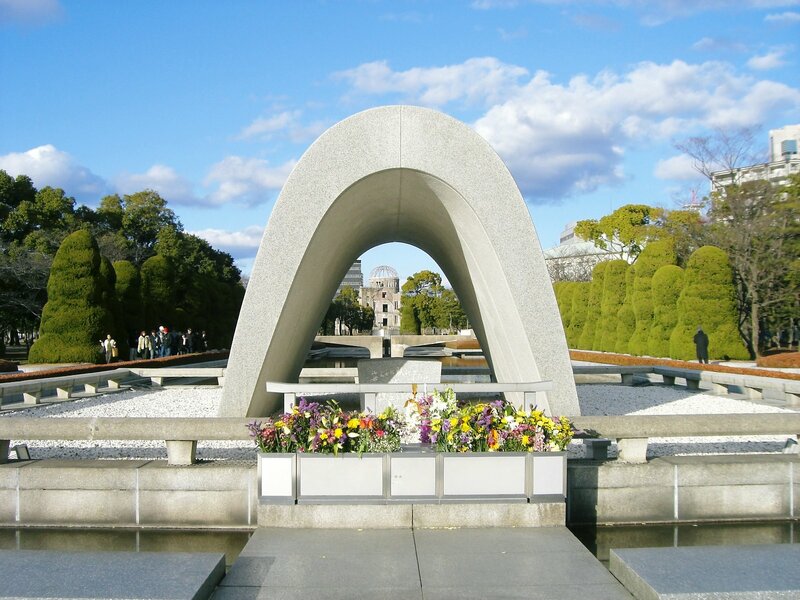 Many people from families, couples, friends and other age groups, as well as many foreign tourists visit. “The Ooedo Onsen Monogatari” of Tokyo Odaiba, that started as a first Japanese Onsen (hot spring) theme park on March 1, 2003 (the 400th anniversary of the Edo shogunate), is a new famous place of Odaiba that reproduced “a town of Edo” in the downtown area. 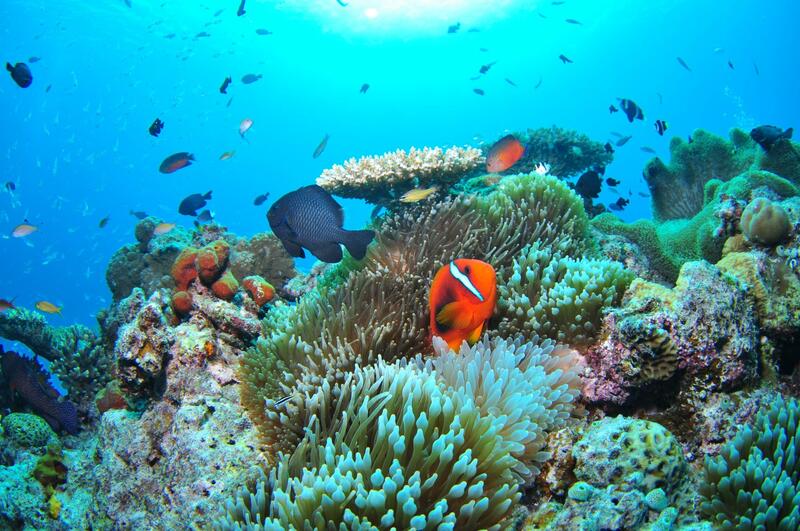 In addition, it is the hot spring facilities which you can go willingly, and is popular among all the children, adults, and elderly people, and gather attention as an eccentric place for dating. 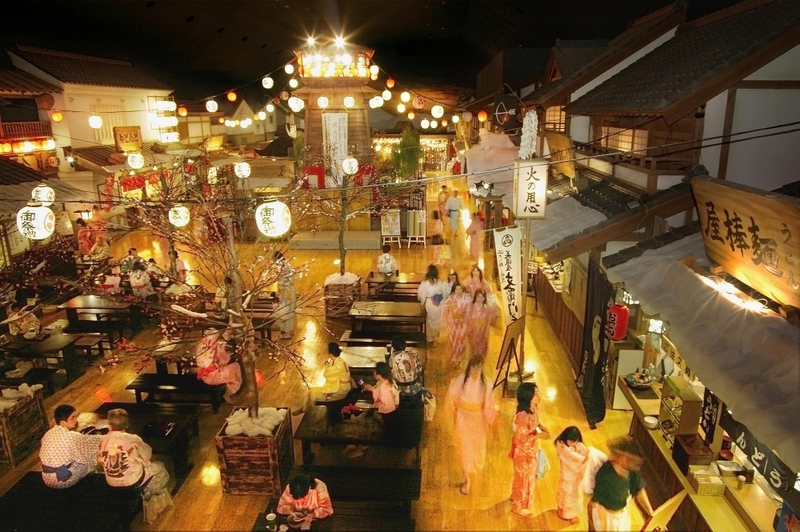 The theme is based on traveling back in time to the Edo era, and it is a point of popularity that the visitor change into yukata which this park rent after entering a building, and you can do the play that is popular in the Edo era in the hall. There are a lot of shops which you can pay all with a tsuko-tegata (a certificate for people in the Edo period) in Hirokoji (a main street). There is a mom-and-pop candy stores where you can buy Japanese nostalgic cheap candy. 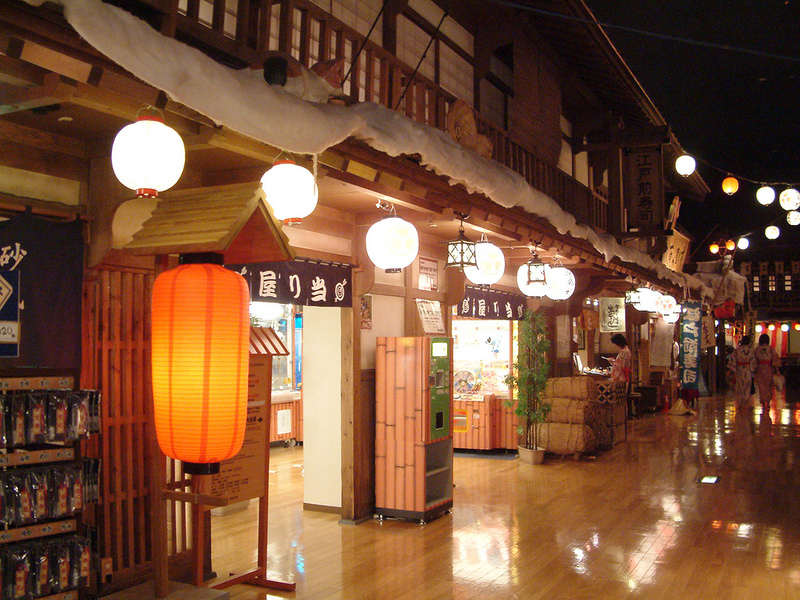 And there are some souvenir shop, so you can fully enjoy an atmosphere of Edo before entering the hot spring or the occasion of the meal. You can buy chopsticks and T-shirt of the Edo design, and “The Hello Kitty version of Ooedo Onsen Monogatari” in souvenir shop, which are popular among the junior and senior high school students.